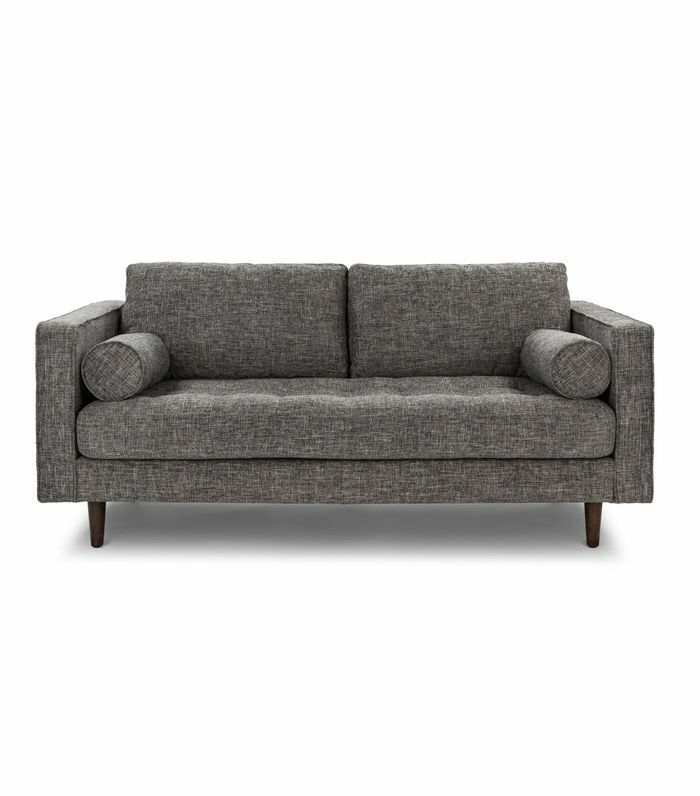 Anyone who has lived in a modestly sized apartment can attest to the difficulties of finding the right sofa. Considering the amount of time you'll spend lounging on it, not to mention the steep price tag, the stakes are considerably high. So do you splurge on that sectional at the risk of moving into a new space that it won't quite fit into once your lease is up? Or do you opt for an economically priced and sized sette even though you love curling up with a good read and binge-watching movies on Netflix for hours on end? 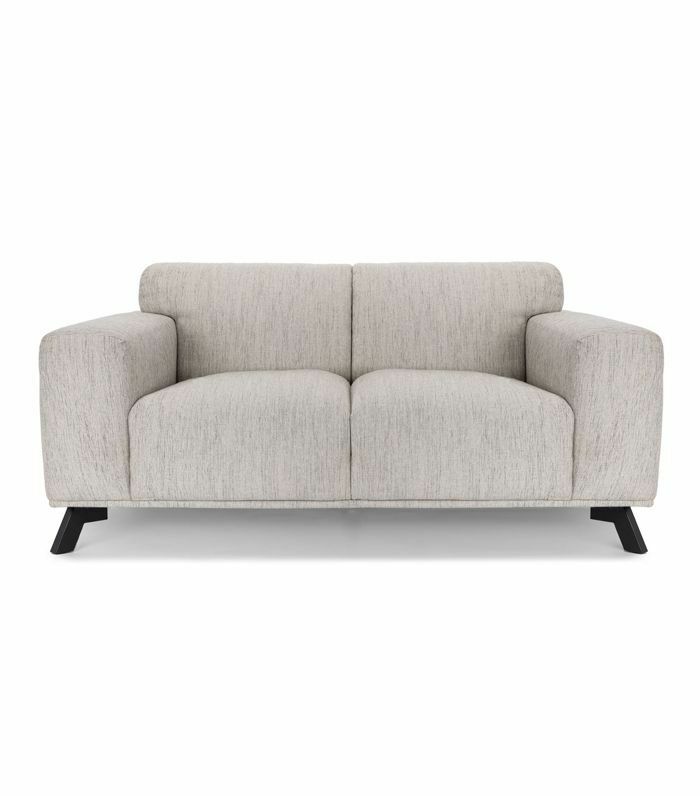 As apartment dwellers, we know from experience how difficult shopping for the perfect petite couch can be, so we've rounded up some of the small space-friendly couches that have caught our attention as of late. Spoiler alert: All our picks come in chic, understated shades of gray, a color that lends itself well to blending into the scenery (lighter shades) or making a bold statement (darker shades). 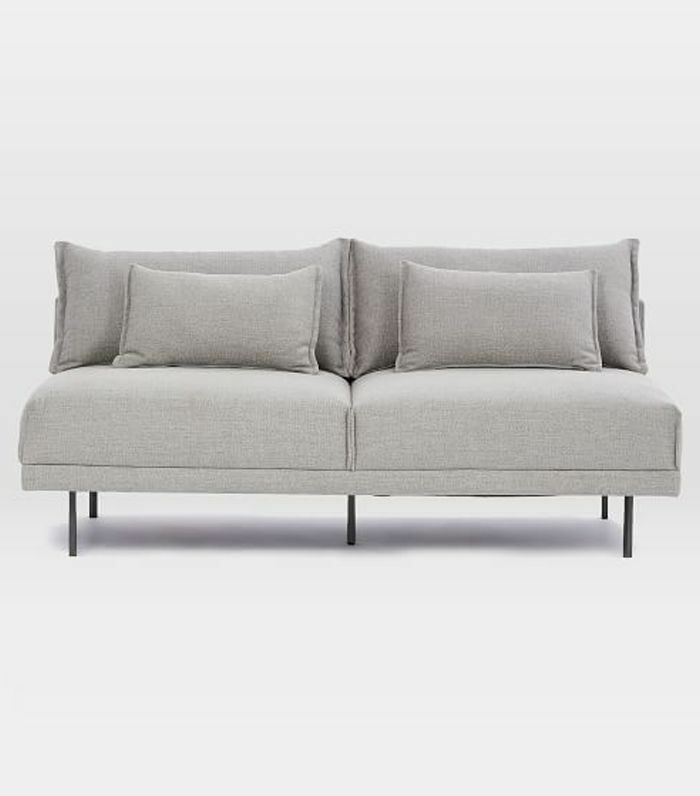 From a voluminous sofa that's as comfortable as it is stylish to an Emily Henderson–approved buy from one of our favorite budget-friendly retailers, shop our edit of gray couches that were practically made for small living rooms. Bonus: Prices start as low as $150 (yes, really). 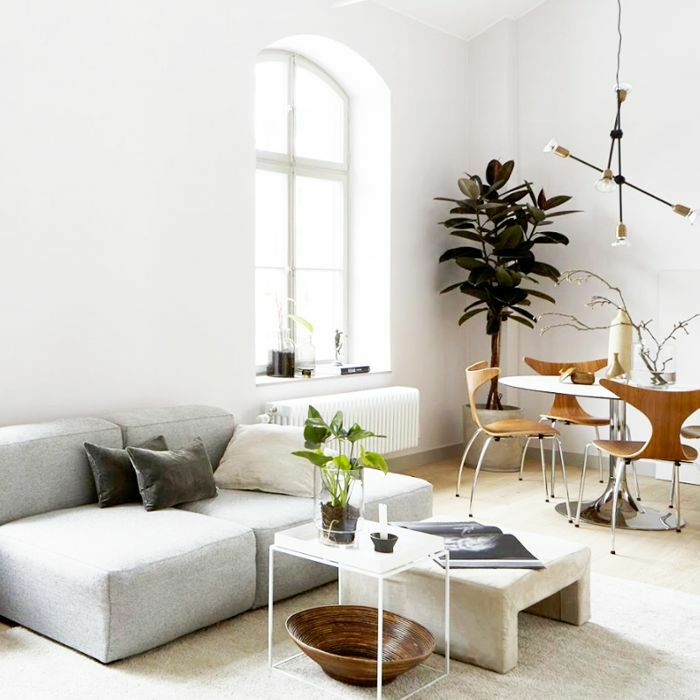 An armless sofa is an ideal buy for a small living room, allowing you to conserve space for side tables, lamps, and other home accessories, like a magazine rack. 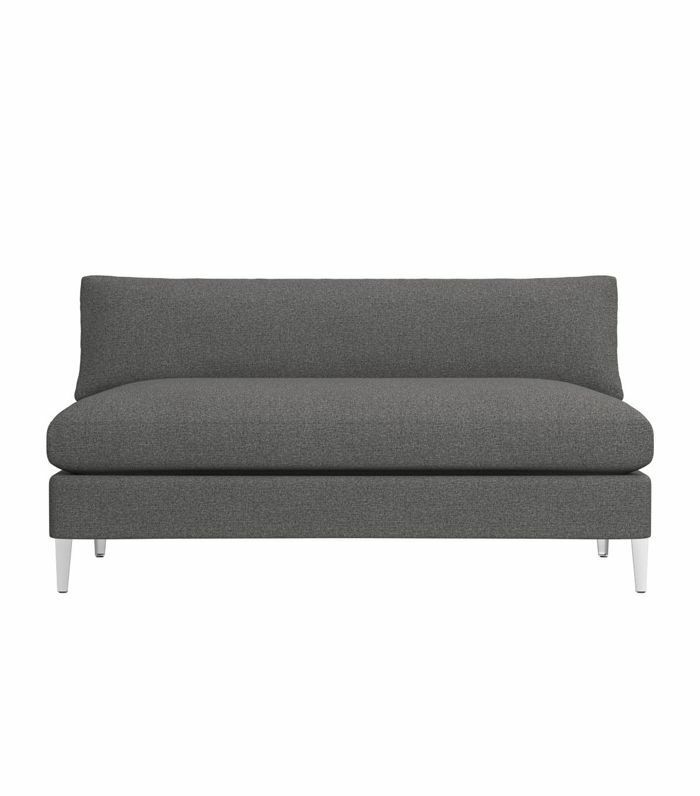 This West Elm sofa is perfect for petite spaces. Bonus: Its price tag is giving us reverse sticker shock—we can't believe it's under $800. 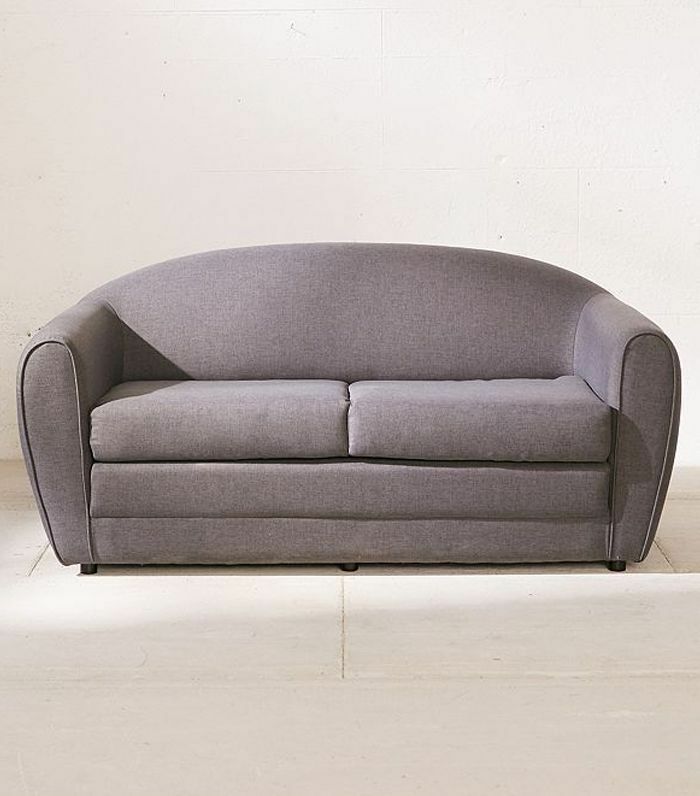 Made with a thick layer of memory foam, this voluminous, statement-making sofa is as comfortable as it is stylish. 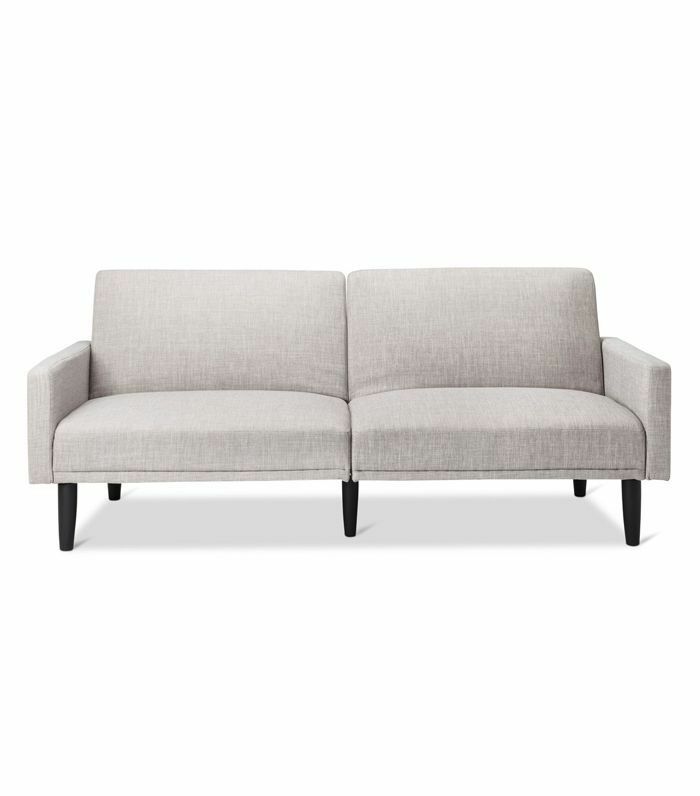 Calling all minimalists—this small space-friendly CB2 sofa boasts clean lines and thick cushions that you just want to sink into. Sitting on the aptly named Cielo loveseat by CB2 (cielo means "sky" in Italian) is pretty much as close as you can get to reclining on a cloud. 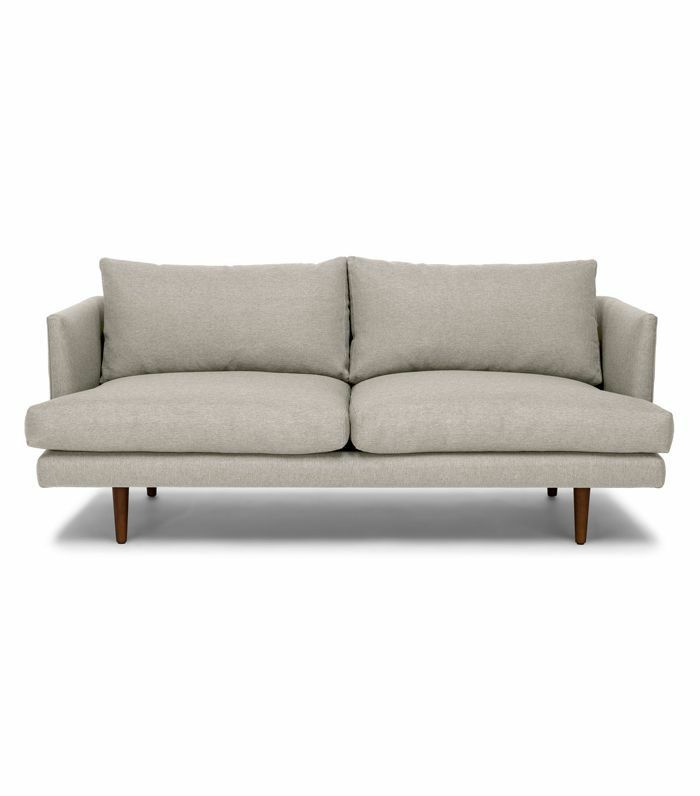 We love this apartment-friendly take on Article's midcentury modern style sofa. The tufted bench cushion and matching bolster cushions details make this couch look much more expensive than it really is. 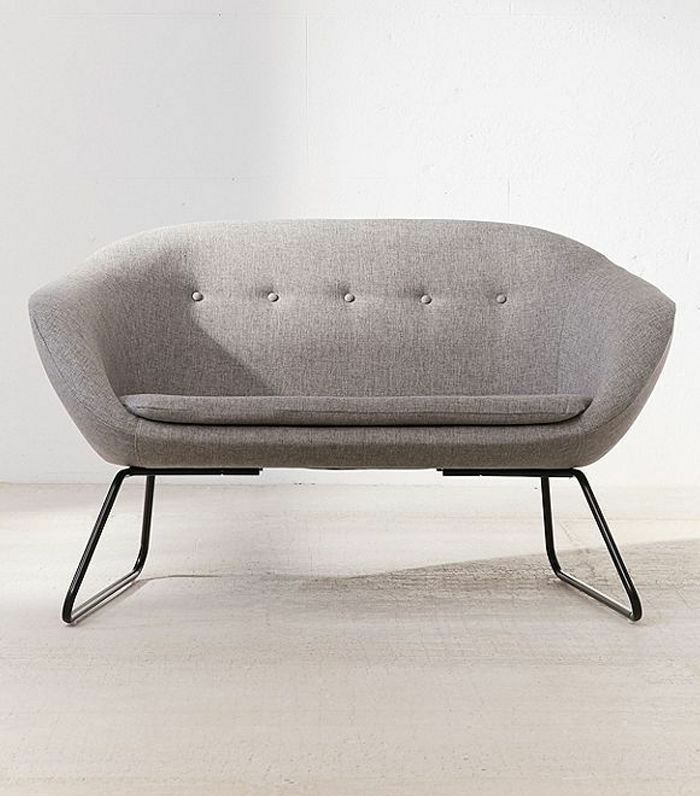 Although this Article sofa is technically a loveseat, its deep cushions make curling up with a good read incredibly comfortable. 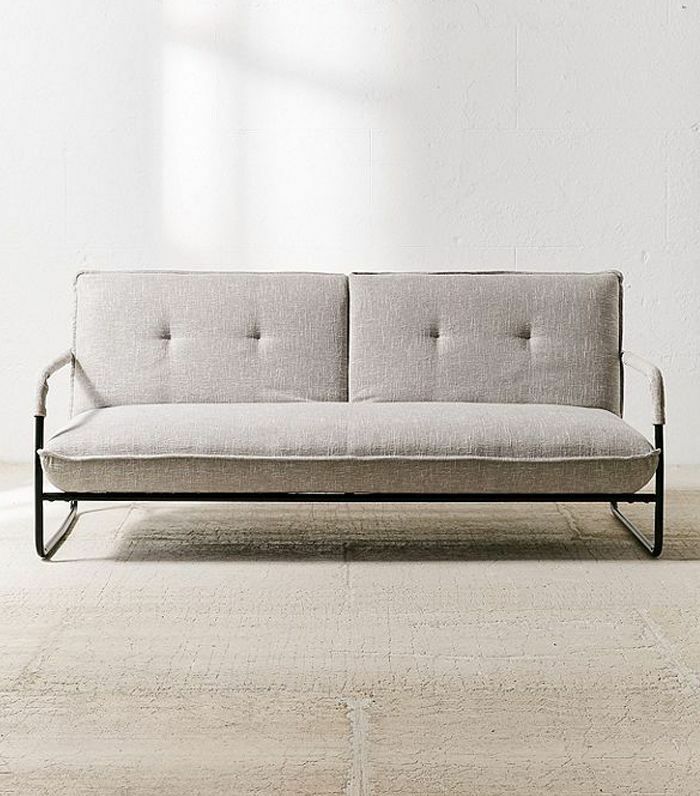 With its sleek metal frame and pintuck pillows, this Urban Outfitters find would look at home in any modern space. Efficiency is everything in a small space living room. 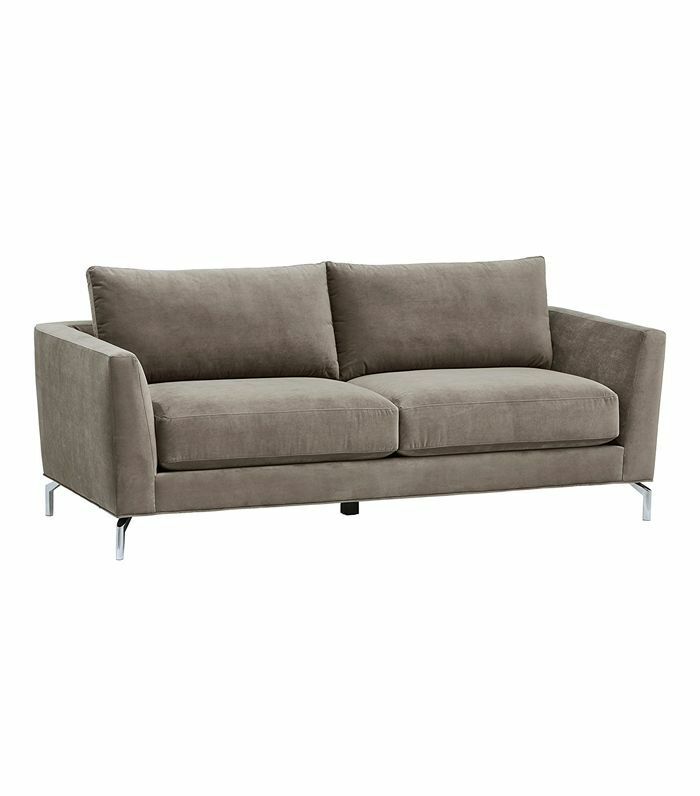 A sette sofa like this one from Urban Outfitters, complete with a mod shape and tufted seat-back, is an economical choice. If you had to do a double take, we don't blame you. 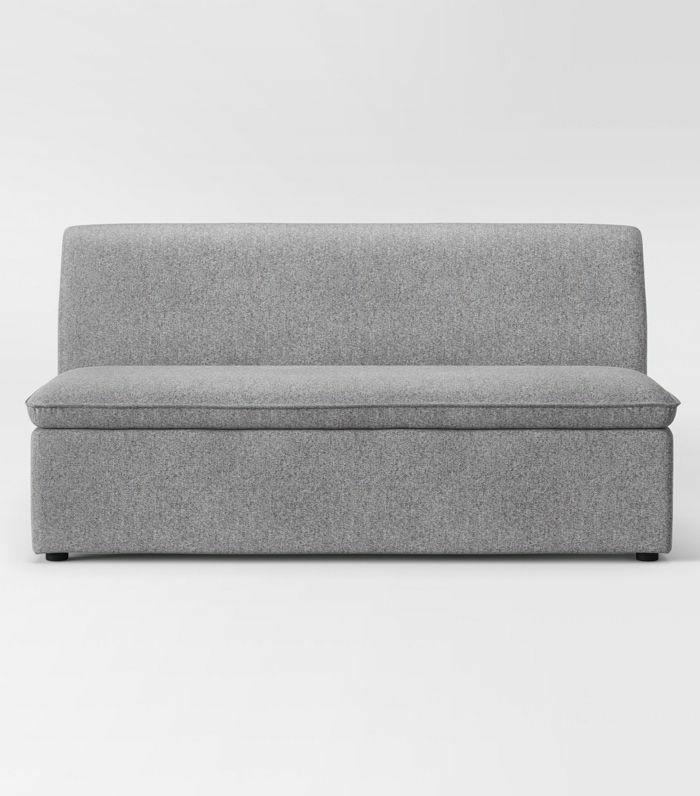 Yes, this sleek sofa is from Target. And yes, it's on sale for under $250. No, we can't believe it either. 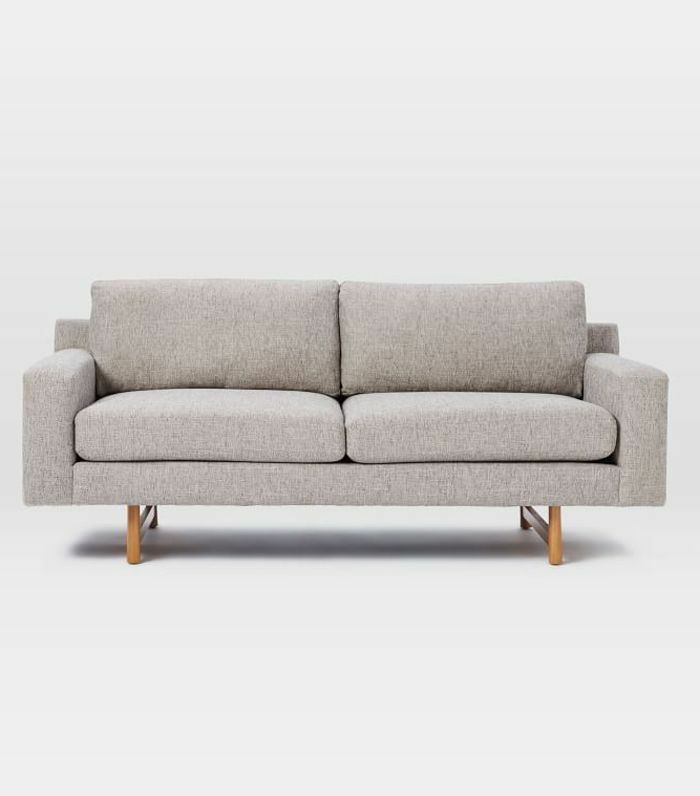 If this versatile contemporary couch is good enough for Emily Henderson, then it's certainly good enough for us. Besides, that $150 sale price is hard to beat. 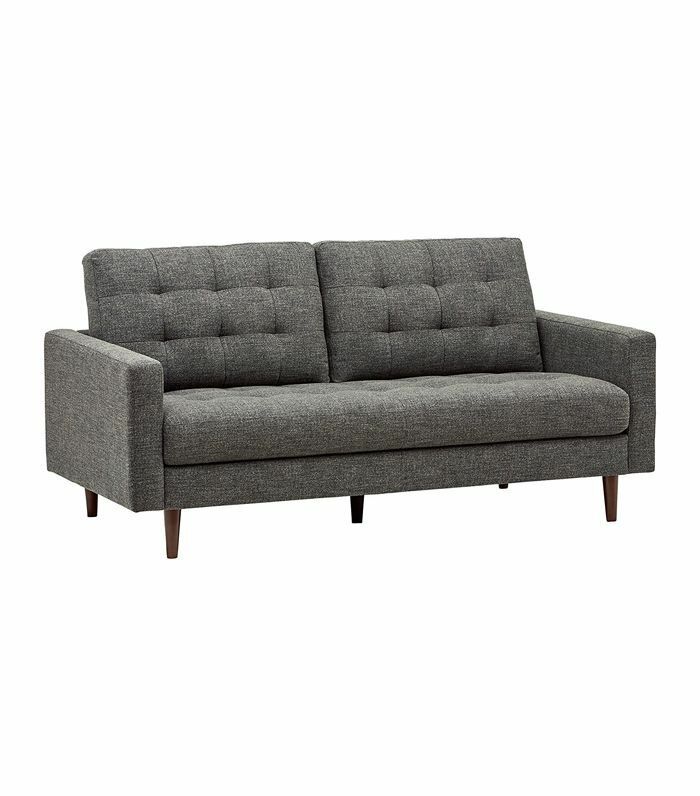 Amazon's midcentury and industrial-inspired furniture line exudes 1960s vibes, and this small space–friendly tufted sofa is no exception. Luxe velvet fabric makes this Amazon find look way pricier than it actually is. Just add a bowl of popcorn and get ready to settle in for a night of binging your favorite show on Netflix. 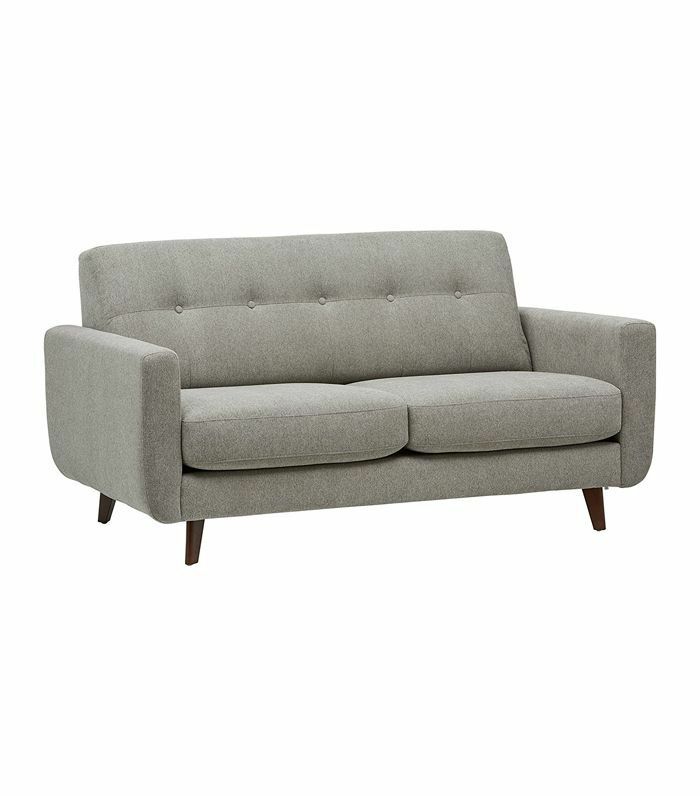 The U-shape silhouette of this midcentury modern-inspired design would lend an air of understated elegance to any small-space living room. Up next, think affordable couches are a myth? These chic sofas under $900 suggest not.